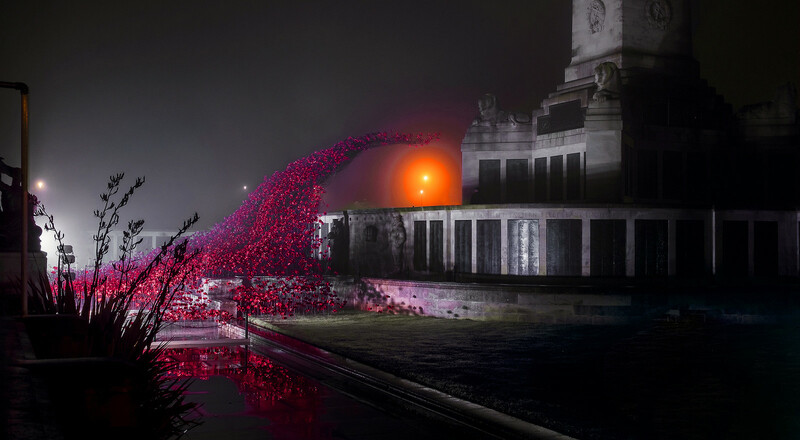 The memorial to the fallen with ceramic poppy sculpture. Plymouth Hoe, UK. Photo Information for The memorial to the fallen with ceramic poppy sculpture. Plymouth Hoe, UK. Nicely done Roger. Composition and exposure are spot on.